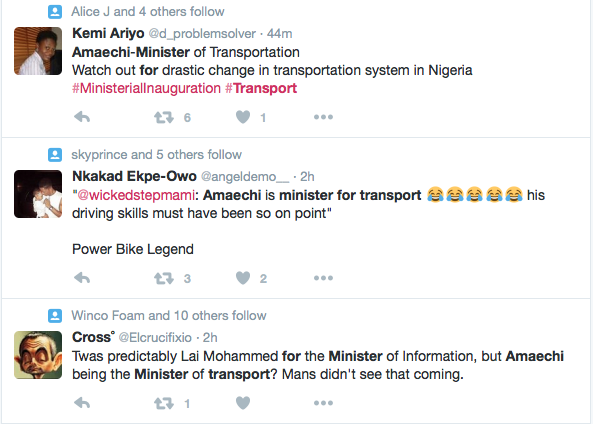 Ever since the ministers’ portfolios were announced earlier today, the Nigerian Twittersphere has been tweeting about it. Some of the most interesting tweets have been about Amaechi and Fashola’s appointments as Transportation Minister and Minister for Power, Works and Housing respectively. Hahahah @ Minister for NURTW. Everyone in Phc/lived there when Amaechi was newly handed the Govnorship mantle know that Amaechi is a Biker. Story has it that he used to go incognito to inspect projects in the dead of the night on his power bike. That was before he became power drunk. BRF am not an APC fan but l appreciate Fashola a lot. So am wishing you good success.. God will show you kindness. All through your reign you will not know shame. God will be a lamp unto your feet. He will do you good in Jesus Name. Congrats to Mrs Fashola. Do not relent in praying for him. I just ❤ This Prayer. God Bless YOU MORE! 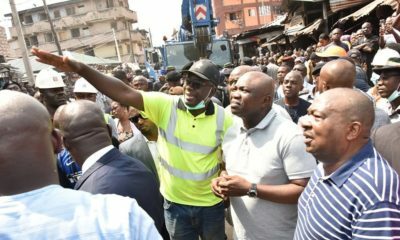 If Fashola delivers stable power, he’s all but assured to be President in 2023. What’s with the mockery? 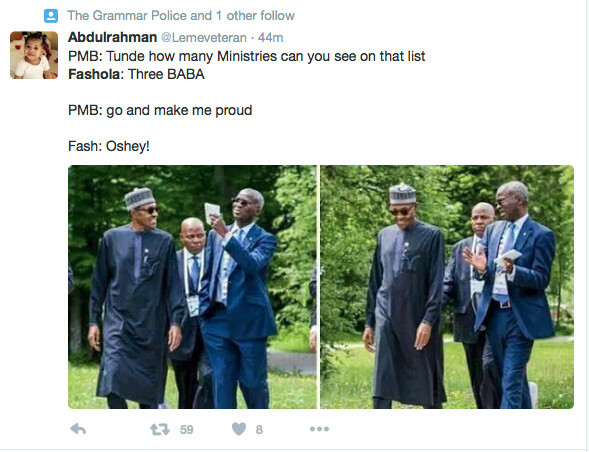 Why did Buhari give Amaechi Transport? I say Why Not. I fear for my fellow youths on twitter, everything is just a damn joke. Is it that they don’t see the Ministry of Transportation as important or what? They don’t even understand the merger of transport with aviation ministry, not to talk of the shipping sector and the railway. Fashola and Amechi got the big jobs here o! 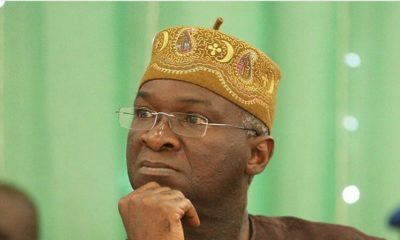 Congrats and best of luck to Fashola, am proud of him. Oga Amaechi first of all in 21st century Federal Ministry of Transportation Nigeria no get website. the only information you can get about the ministry is through Wikipedia. Haba!!! the ministry that control Ports both sea and Air, inland rails and road transportation .Oga Amaechi work dey your hand o but I know you dey rugged sha!! BellaNaijarians una well done o! And what portfolio did your father get? Please give the man a break! love him or hate him Amaechi stood for what he believed in to the end. 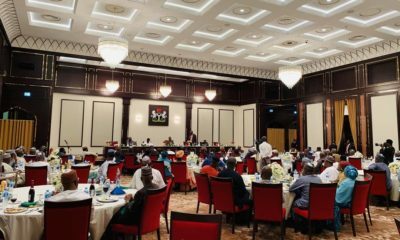 Serving under PMB is a reward in itself and a peril if one is corrupt.